Several starting tips to help your samurai survive Nioh. 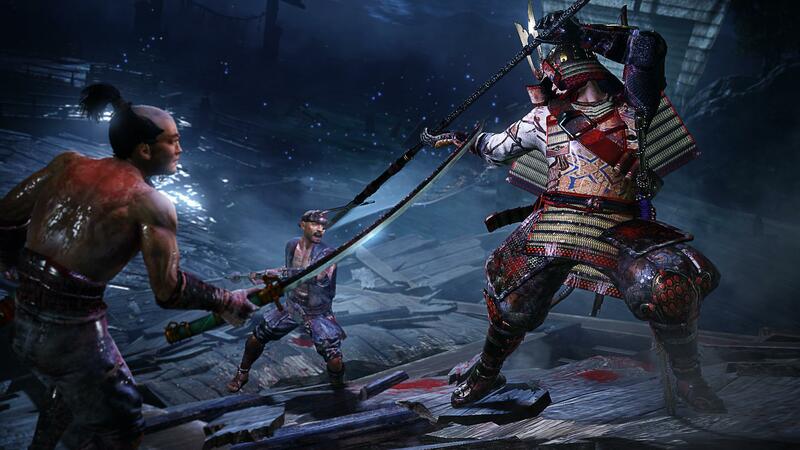 Nioh is a challenging action RPG that focuses on fast-paced combat and precise timing. The game features a variety of combat skills and abilities to choose from, allowing for unique move sets and combos that are tailored to the player’s preferences. However, there are still a few features that all players should keep in mind, regardless of playstyle. 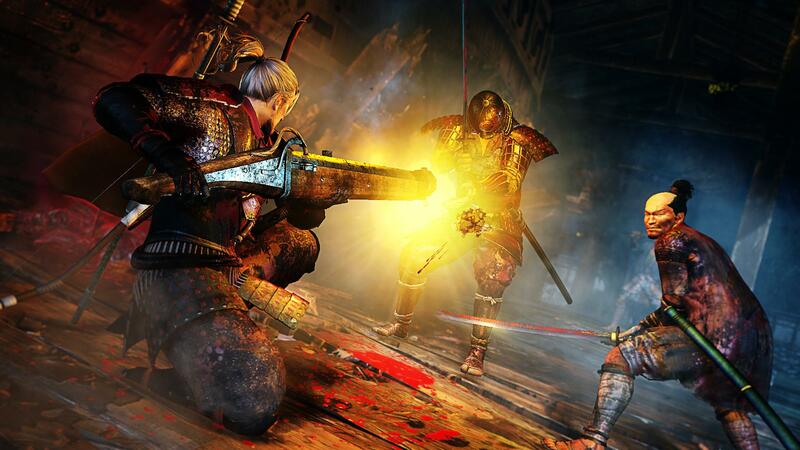 This guide offers several tips to help players survive the perilous trek through Nioh. Stamina management is a crucial part of being an adept fighter in most combat-centric games. In Nioh, stamina is called Ki and is represented by the greenish bar beneath the silver health bar in the upper left corner of the display. Dashing, rolling, running, and performing combat moves will each consume a portion of Ki. High stance moves tend to consume the most Ki, while Low stance move consume the least. Using up all of your Ki at once drains your stamina, causing your character to stop in place and begin panting. If this brief moment of immobility happens during combat, there’s a good chance you will get injured or not survive the encounter. Keep an eye on your Ki gauge during combat, especially when performing a combination of attacks, in order to avoid depleting the entire bar. It’s also important to utilize the Ki Pulse, which is mentioned in the next tip below. The Ki Pulse is a unique stamina management mechanic in Nioh that allows the player to regain a portion of Ki immediately after it is consumed. To perform the Ki Pulse, you must press R1 just as the consumed Ki portion on your Ki gauge partially refills and glows white. Pressing R1 at this moment will immediately restore the portion of white Ki shown on the bar. Missing this Ki Pulse window will simply cause your Ki to refill at the usual rate. You can also time your Ki Pulse based on the sparkles that appear around your body after using stamina, which can be easier than having to look up toward your Ki gauge each time. Get in the habit of Ki Pulsing after each combo set to avoid running low on Ki. Aside from standard Ki management, the Ki Pulse is also important for clearing the grey, stamina-draining substance on the ground caused by fighting Oni and other demons. Standing on this swirly matter will hinder your Ki regeneration, which can be lethal during a fight. Performing a Ki Pulse while standing on top of this Oni essence will dispel it from the area. Just as you have Ki to manage, so do your opponents. Each enemy has their own stamina gauge that you can see beneath their health bar during a fight. If an enemy completely drains their stamina, the bar will turn red and they’ll show signs of fatigue. This is your chance to strike. Perform a critical or move to strike from behind to inflict additional damage or critical finisher on your opponent. Being a skilled fighter in Nioh greatly depends on knowing how to change stances to adapt to certain situations. There are certain stance-based skills to unlock for each weapon type, and every stance has its own pros and cons. High stance lets you inflict powerful strikes, but can be slower and tends to consume more stamina. Low stance attacks are quick and consume the least stamina, but are weaker and have shorter range. Mid stance is the most balanced of the three, but since mid-stance attacks mainly consist of horizontal swings, you’ll need to switch to high or low stance to deal with a prone or crawling enemy. Get used to switching stances during combat to adapt to your opponents accordingly. Like you, human enemies will also utilize specific stances depending on their weapon. First, pay attention to they type of weapon an enemy is using. Axes deal immense damage, but they're also slow and can drain the opponent's stamina quickly, leaving you an opportunity to strike. An enemy wielding a spear in high stance will likely break through your guard or inflict damage on you first if you choose to strike at the same time. Notice what stances each enemy uses for their weapon type to better understand how to wield your own, both offensively and defensively. As you make your way through the first section of Nioh, you’ll start collecting stones in your inventory. Stones can be chucked at enemies to draw their attention towards you. This is great for when you encounter clusters of enemies, as you can lure and fight single enemy instead of the whole group. Apply the stones to a comfortable consumable slot so that you can use them on the fly, then lock-on before lobbing a stone to ensure it hits the target. 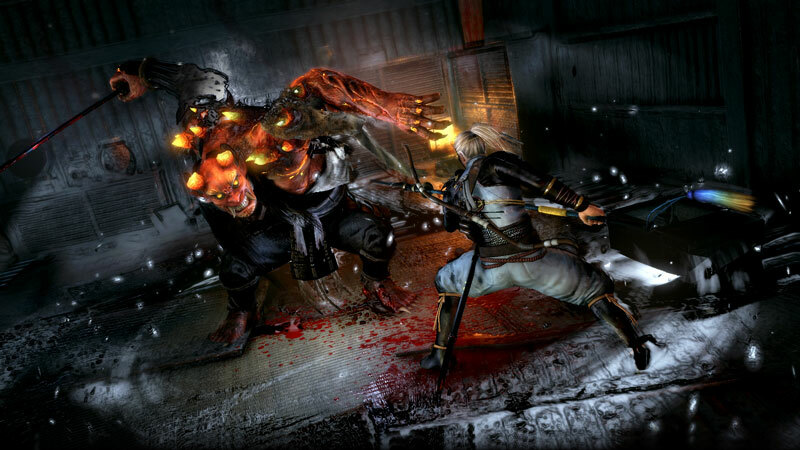 In Nioh, consumable items and abilities are known as Jutsus. Jutsus include Shuriken, Makibishi, Talismans, Powders, and other supportive items. These items can be extremely helpful for hindering certain bosses and enemies, but you can only obtain them by learning certain skills. Many new players focus on leveling up their weapon skills first, neglecting the valuable potential the Jutsu skills have to offer. Jutsus are unlocked in the Ninja Skills and Onmyo Magic Skills tabs of the Learn Skills submenu. Once you have unlocked Ninjutsu or Onmyo Magic abilities using the necessary skill points, you must then equip the Jutsu to use its items. Open the Ready Jutsu menu, and select which Jutsu you’d like to have. The amount you can equip is based on your Jutsu capacity, which you can increase by leveling up the Dexterity and Magic attributes in your personal stats. At the Shrine you’ll find a small green spirit called a Kodama. There are multiple Kodama hidden throughout each map of the game. When you discover Kodama on your adventures, approach the little fellas and be sure to send them to your Shrine. Each Kodama you find will make your Shrine its new home, and you can see how many you have accumulated on the outside of the Shrine itself. Kodama are more than cute collectibles. In Nioh, finding these tiny spirits allows you to unlock perk bonuses in the form of blessings. These blessings include Amarita boosts, as well as improved drop rates for Elixirs, Weapons, and Armor. The more Kodama you find of a certain type, the better percentage the blessing will have. Kodama spirits are valuable, so be sure to rescue every one you come across in Nioh!